Lawsuit by city says CalRecycle should look at odor from waste facilities such as Newby Island as part of permit approval. update 01/20/2017: our appeals was rejected. After San Jose Planning commission upheld the decision on Dec 7th for the Newby Island Landfill Expansion Permit, Milpitas REACH filed an appeal on Dec 12th. Here is our appeal: NewbyDec12thResidentAppeal. 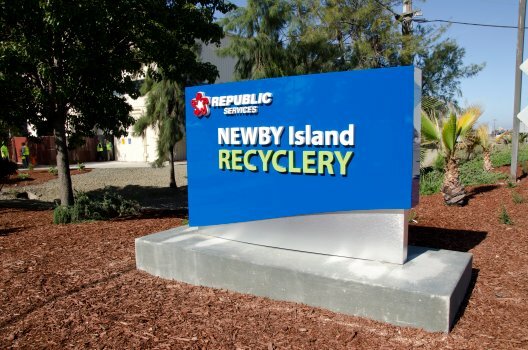 San Jose Planning Commission voted 5-0 Wednesday to allow a nearly 100-foot vertical expansion to the Newby Island Landfill. Unfortunately, the San Jose planning commission on Dec 7th voted to approve the Newby Island Landfill expansion. The Garbage dump will be piled up to an unprecedented 245 feet and will remain open until 2041. They erroneously cited they need more Landfill capacity when they have plenty in the county. They also stated that they didn’t want to ship their Garbage to other communities and needed the expansion, but apparently it is okay to ship San Jose’s garbage to Milpitas and Monterey. They also argued that the extra height won’t contribute to more odor, use your common sense about that point, more garbage more odor. City of San Jose has been hypocritical in its public policies. On one hand, it issued Green Vision goal to divert 100% of waste out of landfills by 2022, and had used that goal to build over 12 new recycling and composting facilities. San Jose Mayor further endorsed Measure AA to raise $500 million to restore the bay from landfill and toxic pollution. Newby Island’s Area Manager Mike Caprio told the planning commission that its existing permit has capacity through 2023-2025. This is not even including the 20+ years of excess landfill capacity at San Jose’s other landfills that have 0 violations. Yet, the planning commission chose to expand Newby Island, completely disregarding 23 unresolved regulatory violations, its city municipal code and zero waste goal. No wonder City of San Jose is persistently ranked as one of the worst-run big cities in the country. Thanks to the volunteers for all the efforts that went into last night’s San Jose Planning commission meeting on the Newby Island Landfill. Volunteers were preparing speeches, organizing for the bus ride/carpool. Special thanks to the brave folks who brave the rainy weather to speak on behalf of the community. Thanks Milpitas councilmembers Garry Barbadillo and Marsha Grilli and Milpitas Mayor Rich Tran for also showing up. We had presented to San Jose at the start of the appeal process about how 44 landfills in San Francisco Bay had closed upon reaching capacity and converted to parks. None ever exceeded 150-160 feet height. But San Jose isn’t interested in superior alternatives. San Francisco County has 0 landfills, Marin County has 0 landfills, San Mateo County has 1 landfill. Yet – San Jose city alone has 4 landfills. The underlying problem is San Jose gets tax revenue per ton disposed at landfills, hence it chose to harbor more landfill capacity than it needs. Again thanks to everyone who fought hard against the Newby Landfill expansion for the past 2 years and waiting out 10 deferrals. You can watch a recording of the meeting when it gets posted here, look for “Dec 7th Planning commission meeting”, http://sanjose.granicus.com/MediaPlayer.php?view_id=51&clip_id=9429 OR is prior link is broken try this link http://www.sanjoseca.gov/civiccentertv/. The San Jose Planning commission’s new odor study is flawed. BAAQMD (Bay Area Air Quality Management District) has written a letter outlining its concern. Attend the Dec 7th San Jose Planning commission meeting to stop the Newby Island Landfill from expanding. San Jose will attempt to use the flawed odor study to justify the expansion permit citing that the Newby Landfill is NOT a public nuisance.